Balata Packing can be used for bus body building & coach fabrication. We can manufacture any size, any width & any length of of Balata Packing as per requirements & drawing. 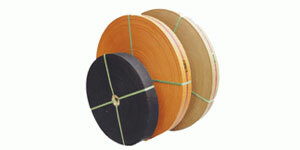 Transmission Rubber Belts can be used for industrial, agricultural, heavy industry & power plants . Body Belts can be used for three-wheelers.